UpFront with NGS: FREE Historical Society Newsletters can really help your research! FREE Historical Society Newsletters can really help your research! FREE information is something that always catches our attention. Though FREE databases are valuable to us, information about records, their availability and their history are also very important as is historical information for a locale (local, county, state and country). It doesn’t matter if a record exists if we don’t know about it nor know how to access it. I mention this because a great, and often under-utilized, resource are the FREE newsletters produced by many State Archives and/or Historical Societies. The Kentucky Historical Society (KHS) today announced the launch of its new online family history magazine, Kentucky Ancestors Online (KAO). This free electronic magazine, or e-zine, represents the latest evolution in KHS publications and continues the long-respected legacy of the former print journal, Kentucky Ancestors. On a related note, I also learned that the North Carolina Historical Review has become available via JSTOR for the years 1924-2012. Check out the articles below on how you might be able to gain FREE access to these via JSTOR. The New Hampshire Historical Society also has a free E-newsletter as does the Maine Historical Society. Does your state historical society have a newsletter? Or, maybe your county historical publishes a newsletter such as Columns (Pike County Historical Society (PA)) or The Historical Bulletin (Brown County Historical Society (WI). Does your county historical society have a newsletter? 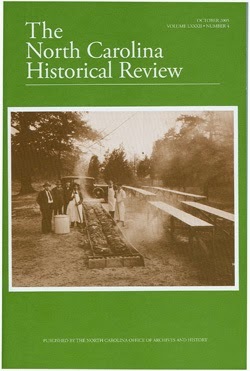 Remember that there are also religious and other type historical societies which have relevance to our research such as the American Baptist Historical Society and its newsletter, Primary Source or the Free Methodist Historical Newsletter. Does your faith’s historical society have a newsletter? Please share news about any FREE newsletters for historical societies which might be of interest to genealogists! + Many State Archives Have FREE Newsletters -- Do you read the one produced in your state? + JSTOR introduces JPASS -- it's now even easier for genealogists to access this treasure trove! + JSTOR – A previously hidden treasure trove now has elements FREELY accessible to all!